Fortunately, summer weather safety is all about knowing the risks and how to prepare for them. Here's what you need to know to keep your family and home protected this season. Those late-afternoon summer showers may be good for your lawn, but they can also spell trouble for your home. Thunderstorms are especially common during the summertime and bring heavy rains that can cause flooding, along with lightning that poses a danger to trees, homes and people alike. Then there's hail, which is capable of substantial property damage along with serious and, in some cases, even deadly injuries. Summer is also prime tornado season in some regions. Typically spawning from an especially violent storm cell, tornadoes are among nature's most powerful phenomena, possessing an unpredictability that makes them especially dangerous. Potential wind speeds over 200 mph mean tornadoes are capable of destroying entire buildings, and each year they claim dozens of lives while injuring hundreds. Unlike the relatively confined damage of a tornado, the destructive power of a hurricane can affect entire cities or regions. 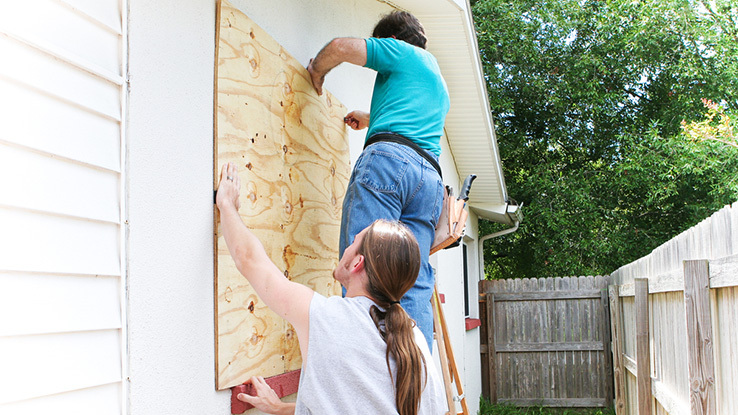 Summer falls squarely within hurricane season, making it a risky time of year for those who live in hurricane-prone areas. Flooding, high winds and coastal erosion are just some of the hazards these superstorms offer. Knowing the highest storm risks for the area you live is important, but always remember that severe storm damage of one form or another can happen anywhere. You may not have to worry about coastal hurricanes in Oklahoma, but these powerful storms can still create dangerous subsystems that push inland, raise water levels and increase the risk of flooding. Meanwhile, "Tornado Alley" might be our nation's twister hotspot, but historically, tornadoes have been sighted in all 50 states and every continent except Antarctica, according to the National Oceanic and Atmospheric Administration. Keep your home storm-ready. This includes keeping your roof and windows in good repair and having storm shutters or boards available as needed. 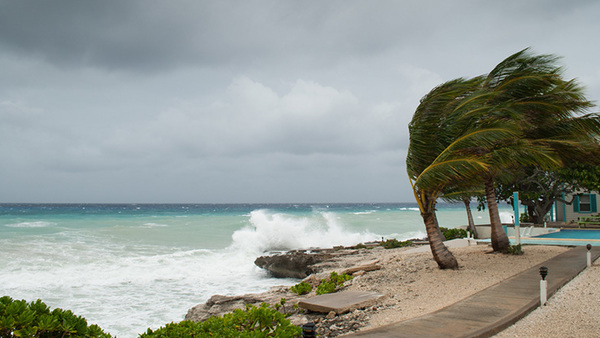 Remove loose items around your property that could get swept up by strong winds. Create an emergency kit. Have one or more emergency preparedness kits accessible within the home. 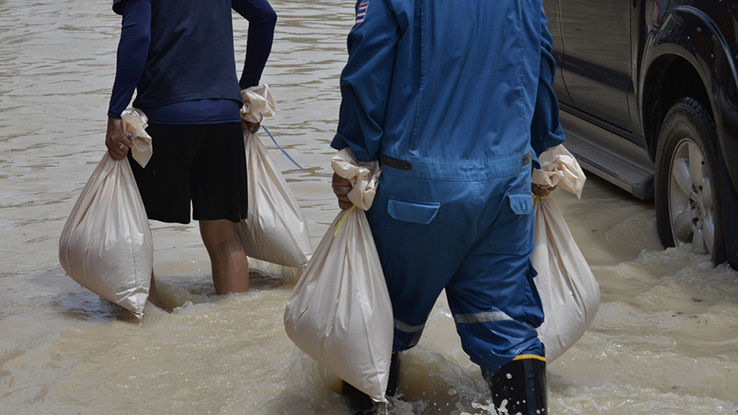 Your kit should include medical supplies, drinking water and nonperishable food, flashlights and other power-outage gear, pet supplies, and other essentials. Verify your insurance coverage to make sure you're protected. Remember that standard homeowner's policies don't cover flooding; special flood insurance is required. Inventory and photograph valuables within your home in case you need to file an insurance claim later. Gas up your car before a bad weather system hits in case you need to evacuate quickly. Look out for severe weather watches and warnings, and pay attention to emergency weather alerts that might include evacuation instructions or other important notices. Know your local evacuation routes, as well as the location of storm shelters in case you're unable to leave the immediate area. Don't re-enter your home unless it is safe to do so. Structural damage, fire risk and even electrical hazards may exist under certain conditions. When it's safe, document any damage to your property. Take photos and video along with a written summary. Contact your insurance agent to begin the claims process. Begin the inspection and cleanup process of your property as soon as possible after contacting your insurance agent to save your home and belongings from as much damage as you can. Everyone loves summertime, but dangerous storms can put a damper on summer fun in a hurry. Stay aware of the weather safety risks where you live, and make sure that you are well prepared in the event of an emergency. A little planning can go a long way toward keeping your property and your family safe, all summer long.